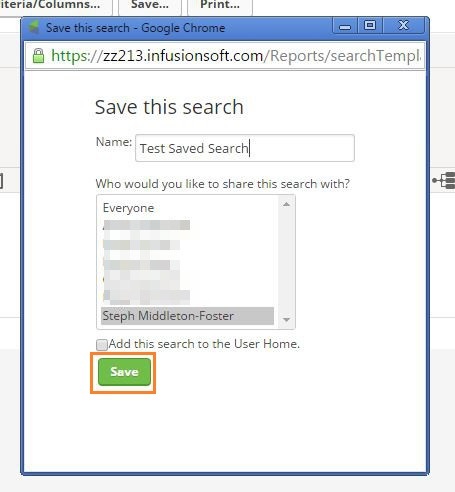 Saved searches in Infusionsoft are a handy shortcut for pulling out lists of records that you regularly need to access from within your database. 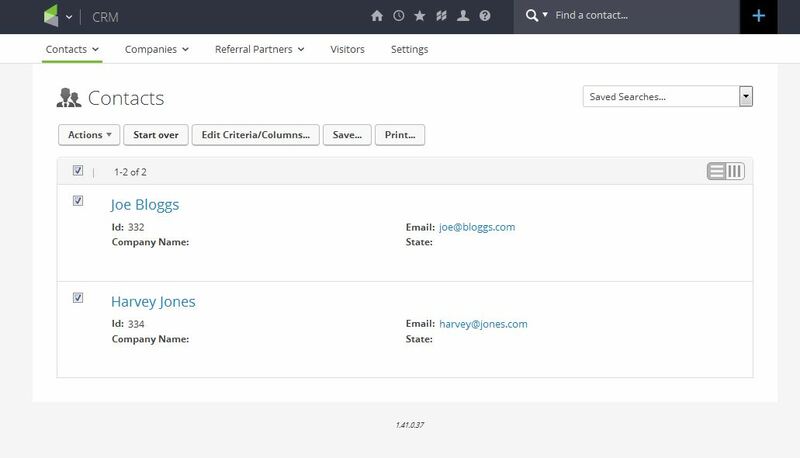 I find them really useful for adding statistics to my Infusionsoft dashboard so I can see important information about my database as soon as log in, and can monitor campaign activity. 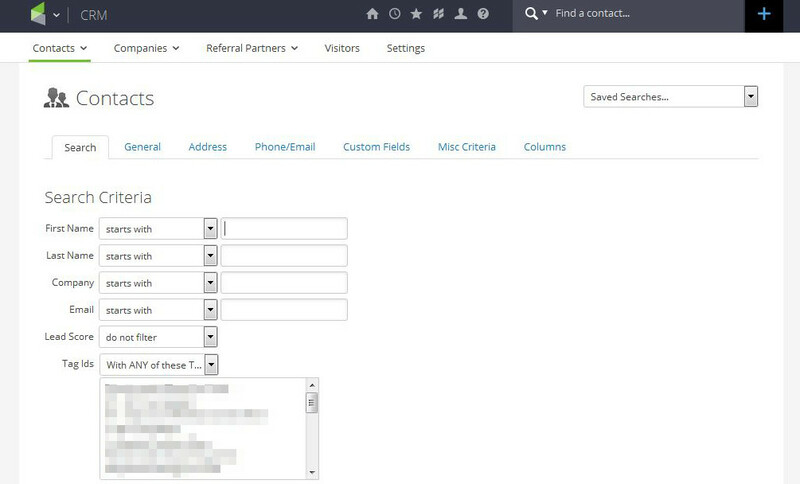 Saved searches are dynamic lists of data based upon predefined search criteria, and can be created from any of the search functions within Infusionsoft. Whilst contact searches are probably the most popular, you can also search based upon companies, orders, email records and more. In this example, we’re going to create a saved contact search. This will open up the contacts search option and show you the most recent search carried out. Click Start Over to clear the settings and begin a new search. This will open up a search window where you can set your search criteria. Here we are going to look for a certain group of customers. Now that you have created your search, you are ready to save it. The next step is to save your search criteria for future use. Do remember that this is a dynamic search, so people may appear and disappear from your search list to match your search criteria and your search will update automatically every time that you run it. To save the current search criteria select Save and a new window will pop up. You’ll then see your search available from the saved search drop down menu in the top right hand corner of your screen. To access your search in future, simply select it from this list. You can also access more options by clicking Options. From this menu you can rename your search, delete your search, set up a regular emailed copy or adjust the sharing settings. From the top menu select Save. Steph Middleton-Foster is CEO & Chief Organisor at Outhouse-UK. As an experienced VA & Business Support Specialist, she's passionate about automation for business and believes that embracing technology is the way forward in building lean, efficient businesses that are fit for growth in the 21st Century.